CFI Brief: Ground Effect, Pop Quiz! I sure hope you read Monday’s post on ground effect because today I’m throwing a pop quiz at you! Remember that ground effect occurs when flying within one wingspan or less above the surface. The airflow around the wing and wing tip is modified and the resulting pattern reduces the downwash which reduces the induced drag. 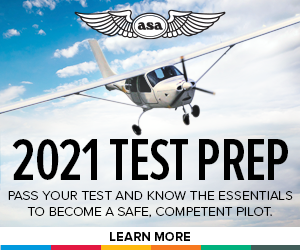 These changes can result in an aircraft either becoming airborne before reaching recommended takeoff speed or floating during an approach to land. 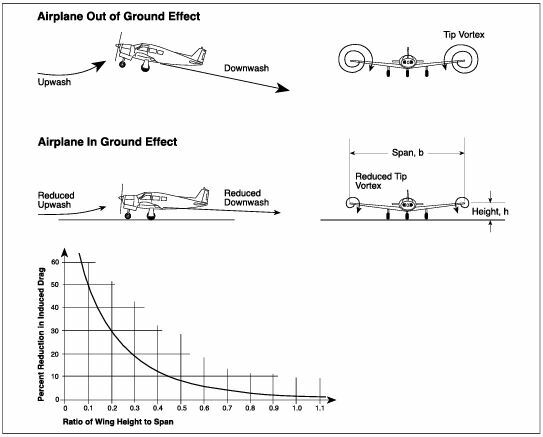 An airplane leaving ground effect after takeoff will require an increase in angle of attack to maintain the same lift coefficient, which in turn will cause an increase in induced drag and therefore, require increased thrust. Alright, lets see if you can score 100% and remember these are similar question to what you might see on an FAA Knowledge exam. 1. What is ground effect? A—The result of the interference of the surface of the Earth with the airflow patterns about an airplane. B—The result of an alteration in airflow patterns increasing induced drag about the wings of an airplane. C—The result of the disruption of the airflow patterns about the wings of an airplane to the point where the wings will no longer support the airplane in flight. A—less than the length of the wingspan above the surface. B—twice the length of the wingspan above the surface. C—a higher-than-normal angle of attack. 3. What must a pilot be aware of as a result of ground effect? A—Wingtip vortices increase creating wake turbulence problems for arriving and departing aircraft. B—Induced drag decreases; therefore, any excess speed at the point of flare may cause considerable floating. C—A full stall landing will require less up elevator deflection than would a full stall when done free of ground effect. 4. Ground effect is most likely to result in which problem? A—Settling to the surface abruptly during landing. B—Becoming airborne before reaching recommended takeoff speed. C—Inability to get airborne even though airspeed is sufficient for normal takeoff needs. 5. Which is a result of the phenomenon of ground effect? A—The induced angle of attack of each rotor blade is increased. B—The lift vector becomes more horizontal. C—The angle of attack generating lift is increased.